EURUSD is falling down due to the new Dudley and Williams comments regarding rates in the future. 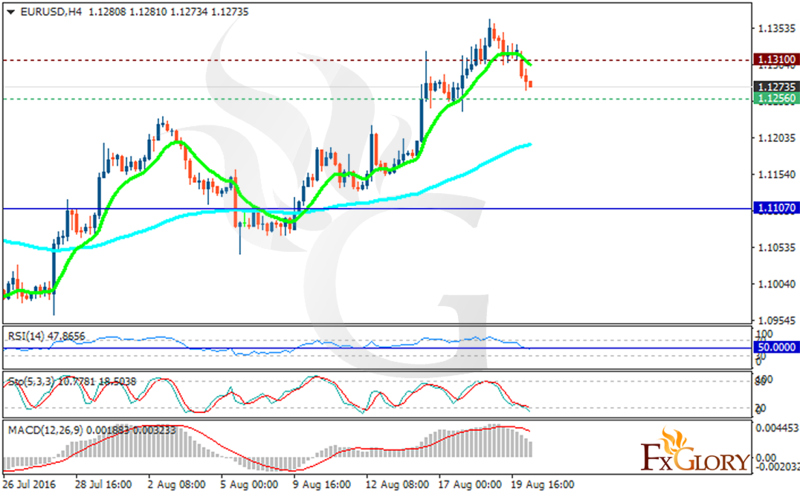 The support rests at 1.12560 with resistance at 1.13100 which both lines are above the weekly pivot point at 1.11070. The EMA of 10 is moving with bearish bias and is located below the EMA of 100. The RSI is moving on the 50 level, the Stochastic is showing downward momentum and the MACD indicator is in positive territory heading downwards. The pair is moving bearishly at the moment; short positions are recommended with the target at 1.0911.